We’d love your help. 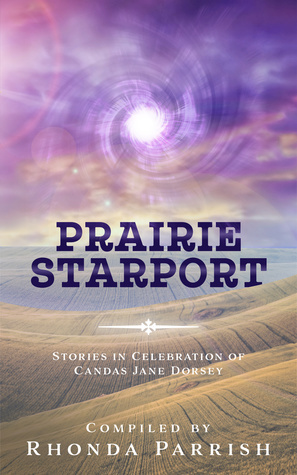 Let us know what’s wrong with this preview of Prairie Starport by Rhonda Parrish. A collection of short stories, essays and interviews in celebration of Candas Jane Dorsey. Contains work by Timothy J. Anderson, Greg Bechtel, Eileen Bell, Gregg Chamberlain, Alexandrea Flynn and Annalise Glinker, Barb Galler-Smith, Anita Jenkins, Laina Kelly, Derryl Murphy, John Park, Rhonda Parrish, Ursula Pflug, Robert Runté, Diane L. Walton, BD Wilson and S.G. Wong. To ask other readers questions about Prairie Starport, please sign up. This anthology is better as a whole than the sum of its parts and I attribute that to Candas Jane Dorsey who shines bright and clear through it all. This is an anthology dedicated to Candas Jane Dorsey, a Canadian poet, teacher, and science fiction writer. Each author has been touched by her and these are their tributes to her. There are several stories in it that are different, strange, and good reading, as well as an interview of Candas. Rhonda Parrish is the editor and I must say I enjoyed her stories the most. Some of the stories i liked, some were a bit confusing .